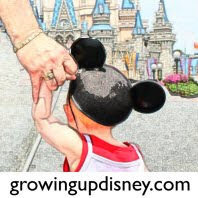 Heather: WDW Dining… Where else can you have a Breakfast safari with Mickey and Friends, Lunch in a 1950s car while watching Sci Fi Movies, and wrap up the day at a Polynesian luau? Last year as WDW newbies we didn’t call as early for reservations and while had some great meals, this year we were on the phone 180 days out for not only our choice of restaurants but also times. We like to eat last after an afternoon of tours, saving our table service credits for dinner. Crystal Palace- Great variety and service, perfect spot for Pooh and Friends character dining. My biggest complaint was the noise level, but understandably this is a great family stop that is central to the Castle. Biergarten- My husband and I both love German food. We sat right up front for the show and the dancing. We will be back this trip. Picky eaters should pack some snacks as we did for our then 3 year old, who didn’t find much he would eat on the buffet. Sci-Fi Drive in- Hands Down one of the BEST burgers/fry/shakes in WDW. Plus who wouldn’t love eating in a retrofitted 1950’s car while ogling the campy 50’s movies while you eat? BEST MEAL of the Trip….. The Garden Grill at Epcot. We felt like we had “settled” for a 3rd tier character meal when we booked only a month in advance. We were so wrong that it was the first place we booked this year. The smaller restaurant is perfect for lots of stops by Mickey, Pluto, and Chip and Dale (by the 4th time stop we waved them on), the food is served family style and included herb encrusted turkey, maple braised salmon, and marinated skirt steak. Serious yum and a real change of pace from the monotony of burgers, pizza, and fries. This year we added the Ohana at Dinner and Chef Mickey’s, both of which we are looking forward to experiencing. We also ate at least 3 meals in our hotel (Port Orleans-Riverside) food court. The selection and variety was outstanding. From mufflettas, made to order salads, pancakes, beignets, pizza as room service the food was a selling point for why we are again staying at Port Orleans this trip. My bottom line advice is plan your meals, esp. if you want hard to secure reservations at Chef Mickey’s and Cinderella’s Royal Table 180 days out. Also consider if on a dining plan how you can maximize the plan to take advantage of restaurants your might not consider due to price. We quickly learned that a $4 milkshake and a diet coke counted the same on our plan. Happy eating.. You won’t go wrong in the World. Janine: We have yet to take Felicity, 9 months, to WDW and have not travelled with any other children. However, as we have eaten in different places at The World, there have been places that I would feel comfortable returning to with F, places we will most likely not go back to until she is older and somewhere I literally cannot wait to take her. So I will begin with places where we have previously eaten that I would feel happy taking our child into. Obviously a lot of WDW is catered for families and little ones but some places seem more kiddie friendly than others. One of our most visited CS restaurant in MK is Cosmic Rays Starlight Cafe. For a place to be on the ‘OK’ list for me, it has to cover 3 things. 1 – have a child friendly atmosphere. I don’t mean full of kiddies running amok but just so that if F kicks off or gets over excited, we don’t need to rush out. 2 – there needs to be a kids meal option on the menu or something I would be happy with F consuming. And 3 – decent prices. I’m not paying $10 for a few chicken nuggets and a carton of milk. I think CRSC would be just right. It has always appeared bright and fun, with plenty of space even when it’s busy with lots of tables and a great view of the castle (we once sat outside when it was a bit cooler and watched an artist sketching. Maybe he was one of the actual Disney illustrators, we’ll never know!). Prices are reasonable, kids meals such as chicken nuggets and PB and J sandwiches – the usual – are $4.99. I would also be happy with her eating any of the adult meals such as the vegetable wrap or burger. HS and AK both hold a yummy fast temptation for us – pizza! We really like Pizzafari in AK and Toy Story Pizza Planet at HS. Pizzafari comes with a Caesar salad too for $7.99 and there are kiddie sizes for $4.99. This has lots of space and the occasional character wandering through. TSPP in HS is also fun and spacious with quick queues and seating inside and out. There are also collectible keepsake cups to purchase here – DH loves his. Here they do a veggie pizza as well as the usual cheese and pepperoni and have the choice of just pizza (from $5.99 or one with a green salad (from $7.99) which we always get. There is again a smaller child's pizza or even a couple of mixed salad choices. The Electric Umbrella (again lots of space and no ‘standing to attention’) which has chicken wraps or cheese burgers for $4.99. But my favourite CS in EPCOT is The Liberty Inn in the America Pavilion. This also does the cheeseburger and wrap as well as kiddies nuggets. There is a veggie burger, salads and chili on offer. I also love the sound of the Baked Apple Dumpling – yummy! We will most definitely stroll the Boardwalk too with F as there is a lot of outside seating which will not effect anyone else. Sandwiches or pastries from the BW bakery are more than enough for a lunchtime snack. Now – somewhere we wouldn’t take F just yet. We are BIG fans of Planet Hollywood at DTD but we agree this is way too noisy for her at this tender age (she’ll be a preschooler still when we go). It is also pretty expensive for her just to pick at a meal. We would feel this about most TS restaurants to be honest. I could not imagine taking her into somewhere like The California Grill even though they do serve children. Victoria and Albert's doesn’t serve under tens. Can’t say I blame them. Somewhere I really want to take F to is Chef Mickeys. Now there are plenty of character meals (Amy has already written about her experiences with her Tink) and 1900 Park Fare also sounds good. But I can already picture my little girl giving Mickey and Minnie a huge kiss, whilst mummy and daddy fill up on Mickey shaped waffles – YUMMY! Click here for more info on our Minnie Moms. Please let us know if there is a topic you'd be interested in seeing or a trip planning question we can answer for you! I think Sci Fi might be great with slightly older kids but we took our almost two-year-old and it was difficult We were sitting in a car so she as in a booster instead of a high chair making her more wiggly and she kept standing up. Plus she was so interested in moving that she barely touched her food. We ate at other table service restaurants without issue. My son who was four did a lot better but he didn't eat very well either because of the movies shown distracted him. He did love eating in a car. I also wasn't impressed by the food quality. We had a lot better food at Disney. One of my kids favorite places to eat was Marrakesh. They loved the belly dancers and enjoyed getting up and dancing. My daughter liked the Moroccan food and my son was able to get pasta and meatballs although we did get him to try some Moroccan desserts.